This ventilated gear bag carries boots and gloves to the lodge, with an integrated floor mat for changing into boots, and ventilated compartment. 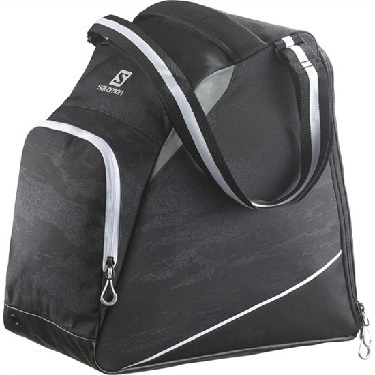 Adjustable shoulder strap to offer the best suited length and the best carrying comfort. Mesh ventilation window releases the humidity of the gear and boots to help them dry. Designed with waterproof fabrics on the bottom for an intensive use in rough or winter conditions. 2 loops to fix the helmet safely onto the bag. The large opening compartment allows to store very easily the boots inside. The opening flap can be used as a mat to change your boots comfortably. Padding on the buckle area to protect partly your ski boots. Dimensions: 39 x 23 x 38cm.